NAMA Recovery of Tennessee: What Is Stigma? In the last month, our Internet news sources have been running wild with stories of the mysterious drug Krokodil, complete with gory images of the flesh-eating damage that users experience. Parents of drug users have been sent into a hysterical panic, wrought with worry and concern. Former drug users have scoffed at these disgusting images as something that they were never desperate enough to do. And everyone has been sharing these pictures and images with a nasty disgust. I swear, I cannot get on Facebook for ten minutes without seeing another Krokodil post. With each new story, my blood begins to boil a little more! Why would it make me angry? It enrages me because this kind of media explosion just fuels the stigma of addiction. These posts do nothing to steer people away from this drug, and it has been proven over and over that scare tactics are not an effective prevention tactic. What really frustrates me is that these images only add to the stigma that we face as drug users, or former drug users, by reinforcing the stereotypical drug user as a desperate, dirty character shooting up against all odds in a darkened alleyway. We fight to change this image, to show that the face of addiction goes beyond this, and we fight to break down the stigma that often leads to limited treatment options, more limited employment opportunities, and fuels the War on Drugs. Sadly enough, former drug users, who are now in recovery- the very people that are battling the devastating effects of the stigma each day, often perpetuate this stigma. So, what is stigma? I do believe that many people, including drug users and those in recovery, do not really understand what stigma is. They often do not realize that they are perpetuating the stigma in so many ways. 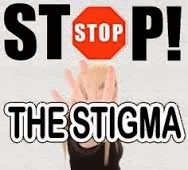 Stigma is traditionally defined as ‘dehumanization of an individual based on their identity or participation in a negative or undesirable social category.” A person who is stigmatized is considered devalued, unimportant, or flawed in important ways. It often relates back to the ancient idea that addiction is a moral failing, and not a health issue. The stigma of addiction and drug use limits options and accessibility to treatment, as some users remain shameful in the dark, afraid of judgment if they come forward. The stigma also works to limit valuable harm reduction strategies like syringe exchange, overdose prevention, and even accessibility to methadone and buprenorphine. The perception of the drug user also limits us in recovery, making it more difficult to get a job, or can even prejudice a caseworker, judge, or acquaintance against us. According to a 2002 survey by the Eagleton Institute’s Center for Public Interest Polling taken in New Jersey, almost half of New Jerseyans claimed they would be more guarded meeting someone in recovery than they would otherwise be. That statistic does not even touch on the guarded attitude to one using drugs! 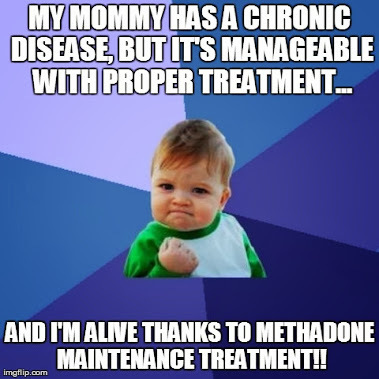 As a former drug user, I would like to think that my 7 years in recovery could speak for itself, as an accomplishment in itself. Unfortunately, people hardly ever hear the words ‘recovery’ or ‘treatment,’ because they get so hung up on the words ‘IV heroin user’ and the image that comes along with those words. The stigma with addiction has long since been embedded into our culture, beginning in a time when addiction was viewed as a moral issue, rather than the health issue that it is classified as today. In 1914, the Harrison Narcotics Act was passed, which regulated and taxed the production, importation, and distribution of opiates and cocaine. This act actually defined itself as, “An act to provide for the registration of, with collectors of internal revenue, and to impose a special tax on all persons who produce, import, manufacture, compound, deal in, dispense, sell, distribute, or give away opium or coca leaves, their salts, derivatives, or preparations, and for other purposes.” The courts interpreted this act to say that physicians could prescribe opiates for medical reasons, but no other reason would be acceptable and the doctor would be subject to strict fines and possible jail time if he continued to prescribe these drugs for non-medical purposes. This act made it illegal to prescribe medications for the purpose of treating addiction, because back then addiction was not a disease, but was instead a moral failing. This act began a war on users and prescribers alike, with a lot of police hours spent rounding up drug users and those who prescribed drugs to them. After this act passed, newspapers began publishing a massive slaughter of sensationalist stories about crime waves related to addiction, and the stigma with addiction had taken hold, while the demonization of drug use was in full swing. These messages reinforced the belief that drug use is a moral dilemma that is only the territory of those that are somehow lesser than the rest of society. Our society held tightly to the fact that addiction was not a health problem, but a moral dilemma. 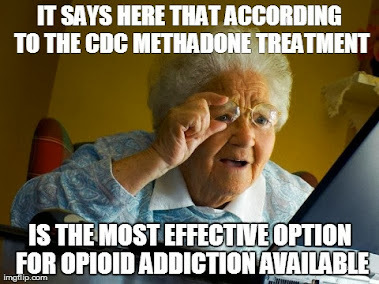 When methadone emerged in the 1960’s, addiction was still considered to be a moral failing, and therefore methadone could not be prescribed to treat addiction. Dr. Vincent Dole, who is considered the ‘Father of Methadone,’ fought vehemently to dispel the idea that addiction was a moral failing, finally convincing some authorities that addiction was, in fact, a disease. Slowly, we began to see a shift towards the belief that addiction was a health issue, and not just a moral problem. But, the change has been slow, and while today many would admit that addiction is a disease, they still perceive the drug user as lesser than the rest of society, ostracized and dehumanized. Unfortunately, that stigma carries over into our lives today, as people hold tight to their stereotypical image of a drug user, desperate and immoral, considering them to be less than the rest of society. We still face the media onslaught from time to time with sensationalist stories that sweep the web, like the Miami face-eating bath salted zombie, and the explosion of flesh rotting of by the effects of Krokodil, while the user still shoots up in a dirty, sparse apartment somewhere in Russia. These images only serve to reinforce the image of the drug user as a bizarre, demented, desperate, back alley character. And that portrayal is dangerous. Those of us who have been touched by addiction in one way or another, are fully aware that these images are not the face of addiction. The face of addiction looks like mine, or yours, or the athletic kid’s next door. With the explosion of prescription drug abuse, our society feels the impact, and more mothers, fathers, brothers and sisters become aware that the face of addiction can look like one of their family members. Addiction knows no boundaries, but when we bind it by the stereotypical image of a drug user, it keeps those suffering from addiction fearful in the shadows. People fear being judged and ostracized, and it keeps them from seeking treatment, and it also keeps treatment options limited in this ignorance. This is such a great, and very relevant (considering the Krokodil craze), piece on stigma. I'm very thankful that we have such a thoughtful and accomplished guest blogger willing to share with us this month! In mentioned the Harrison Act, it's hard to believe that it's been 100 years next year since it's passage... And in ONE HUNDRED YEARS the stigma of addiction has largely gotten worse and not better. That's a whole separate can of worms, but something to consider and think about for sure. Thank you, for letting me share my thoughts! Great article on stigma!! It made me think, just walking into the Vincent P. Dole clinic last week, how the face of addiction is exactly as you described, the "athletic kid's next door." It has been twenty years since I first walked through that door and I see the next generation of addiction walking in. 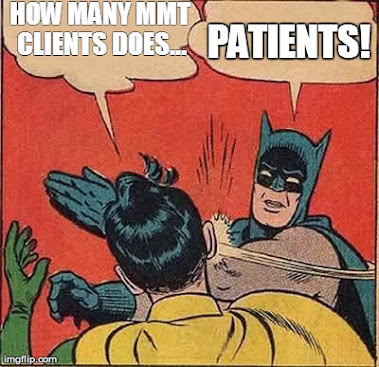 The stigma of MMTP remains. I see some improvement in the medical community but the public's view seems unchanged. Thank you, Stephanie! The stigma does remain fierce on so many fronts! I can only hope that the more we share our personal stories, as active users, former drug users, and loved ones of drug users, the more we can begin to break the stigma of addiction down. Too many people still feel shame and are afraid to tell their stories- thankfully, the tide has started to turn there as well as more of us do speak out. Hopefully, these shared stories will reshape the face of addiction, and open more doors for us all.